The holidays in San Diego were a bit special. Firstly because Manu was not on vacation but worked the first days, then because it had been a long time we had to go because a good friend lives there , and especially that friends from France came to spend these days holidays with us. We ended up at eight in a house close to the beach. I did not visit the city systematically and exhaustively as I usually do, it was much quieter. This is what I liked in San Diego over the days. 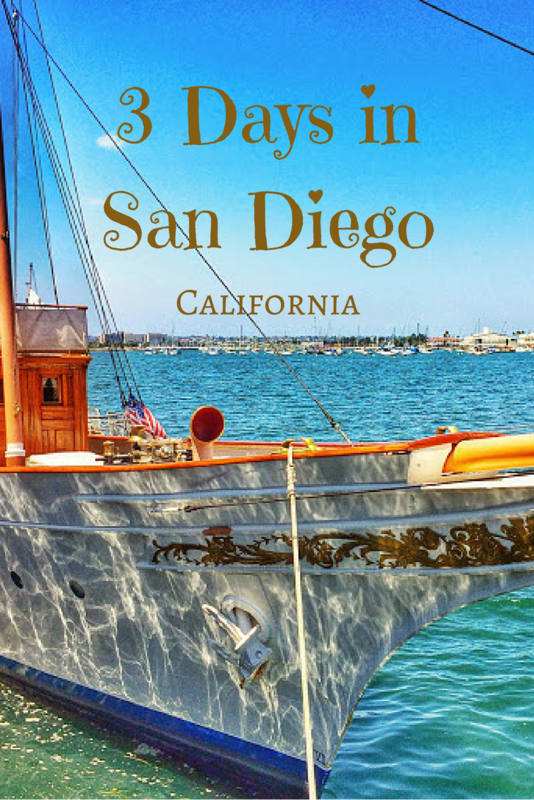 ▶ Are you going to San Diego? Book in advance your San Diego Pass - Best Of: access to more than 45 museums, parks, tours and attractions - fast-track tickets *. Value: about 75 euros. 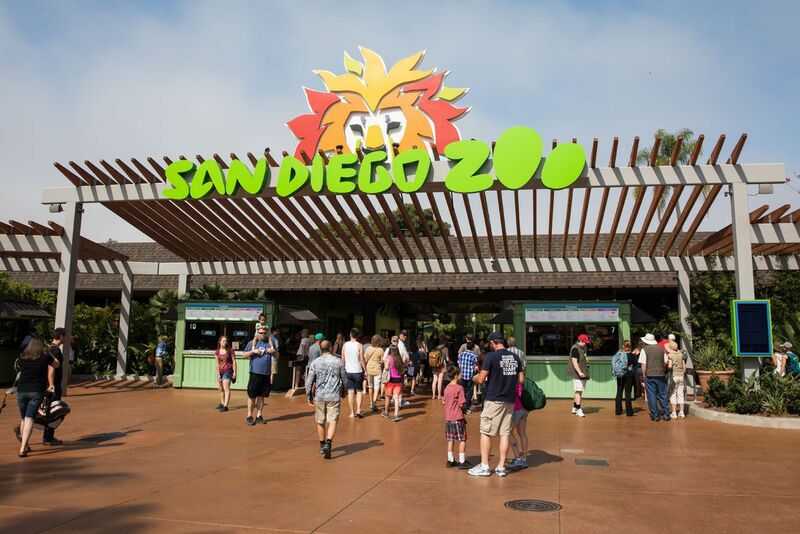 This pass allows you to avoid queuing, and have access to a host of activities in San Diego, including the beautiful zoo, a cruise in the bay, a tour in Go Car, the art museum, etc. It was nice to warn me that it was going to be hot, it was only when I sweated in big drops coming out of the airport in jeans and sweater (late yet) that I really understood that I could potentially take colors in the middle of November. Very pleasant ! Wednesday morning, last day of conference for Manu; for my part, I went for a walk alone in the very large park of Balboa . It was a hot summer in the middle of November, and from the passage on the huge bridge over a big highway (we do not stop the superlatives here), I was in love . Balboa Park is actually a cultural park with many museums and gardens (and the zoo). It's like being in Spain, but we are in the United States, I did not know where to turn and I ran everywhere to see all the buildings. Two exhibitions at the beginning of the 20th century are at the origin of this architectural madness. On this weekday, I was quiet, but it seems that it's crowded the weekend. Superb botanical building built in 1916 and prides itself on being the most photographed spot in San Diego. This building looks like a giant greenhouse, but it is actually completely built of wooden slats, so it's not closed! Inside, full of flowers, palms and orchids. Our friend who lives in San Diego had the great idea of renting a house 5 minutes from the beach. As in San Diego the least activity requires to take his car on highways with 7 lanes on each side, it was nice to be able to just walk to this sublime beach where small and big birds frolic freely. At the top, in the cliffs, there was also a beautiful walk to do among cacti, feet in the sand and admiring the rock and the beautiful views of the Pacific. Point Loma is a peninsula facing San Diego. After walking along a huge military cemetery, we arrived at the end! We first went for a walk along the steep cliff where we can see tides pools, pools of tides or rocks. Going up, we arrive at the Cabrillo Monument which dominates the city. Very nice view over the bay, and Mexico is just 25 km from the city. La Jolla is a super chic seaside town - you can see that in sports cars and clothes shops and deco not given-given. On the beach of La Jolla, it is there that we find a lot of sea lions (big sea lions). I can not see - despite my glasses - but I could vaguely distinguish these big beasts from the rocks where they were placed, because they scream constantly. We went for a walk in La Jolla during the day and for a night, and the sea lions were always there. Small detail not ragoûtant: to go along this sublime beach was not a part of pleasure, because of the stench. The bird droppings, the guano, have invaded the rocks, and it stinks horribly. We visited this historic district with a little apprehension, because our friend from San Diego is not a fan of this place he found a little "knock". It's true that it's touristy. But I found it rather cool! Two streets and a small square have been transformed into living museums, traders are disguised as conquest of the west. Although it may sound bogus and overrated, see old carriages and tobacco shops, sweets or gold diggers, I found it well done. It does not have to be said, the Americans put the heart to the work in the least historical corner. The visit takes two hours to break everything, it would be a shame to miss. The San Diego Zoo seemed to be a staple of the city given what we read on the left. I had not set foot in a zoo for twenty years, we let ourselves be tempted - despite the 44 dollars of the ticket. I wavered between sadness to see the animals locked in too small cages, and wonder at all the variety of beasties I had never seen in real life. I will do a special post with lots of animals because I know there are some cute fans among you (me including …). I talked a lot about it in this post, the sunsets on the Pacific were magical. It's funny because with the good weather, I had the impression to be in summer … and yet the sun was setting around 17 hours, then the temperatures were falling. We almost had to put on a little jacket. We wanted to go for a walk on Coronado Island , an island connected to San Diego by a gigantic bridge, which goes up to more than 60 meters above the sea, what to stick a good dizziness especially when the road starts to turn slowly. The island is also known for its hotel Del Coronado * (where it is possible to sleep!) With pointed red turrets, where scenes from the film Some like it hot have been shot. But on arriving on the island, the fog, or the fog as they say, fell suddenly. We could not see anything at all and we just walked on the beach in a mysterious atmosphere. Fish tacos in Encinitas, a small town with plenty of surf shops, north of San Diego. Very nice afternoon to walk on this beach facing the cliff that collapses - the beautiful villas at the top must tighten the buttocks. After the walk, we had a brunch and I was finally able to taste the fish tacos. apple pie from Moms Pie , in the small village of Julian. We wanted to go to see the country, we went to the mountains, to a historic village in the mountains. It's very touristy - a street of pretty old houses and lots of restaurants and souvenir shops. Beware, winter has caught up there: in the mountains, it was cold! Prohibiton cocktails, a cocktail bar with jazz music … invisible from the street. The area of Gaslamp was very busy on Saturday night, we waited 30 good minutes in front of a door of law firm … but behind it was a cocktail bar. Prohibition, to try at 548 5th Avenue. Their site here. the beers of Wet'n Reckless . (closed since the writing of this article) A bar located in a shed at the bottom of a parking lot, with beer made locally. Regulars even have their drink in their name. The atmosphere is very friendly , we drink standing and outside, we can play darts and hoola hoop. Back in San Diego in November 2016, I visited the aircraft carrier USS Midway and I loved this incredible visit in this warship today turned into a museum. I recommend you read the article I wrote about it, and book your tickets * if you plan to visit this aircraft carrier in San Diego *!